First published in 1966, this revealing study looks closely into the lives of the men, women and children working in mines, workshops, factories and farms during the industrial revolution. It investigates the inventors whose new machines made the industrial revolution possible, and reflects on the new type of employer whose enterprise and energy in linking machine and labour power formed a new society. Where possible, contemporary accounts, letters, diaries and reports have been used so that the words of those living through this remarkable time can be heard - the words and thoughts of masters, workpeople, apprentice children, 'improving landlords' and farm labourers illuminate the prevailing attitudes of the period. 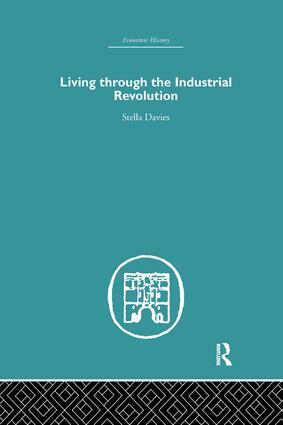 An introductory chapter outlines previous methods of living and working and shows the first movements towards the industrial revolution. Describing successes and failures, lives of impoverishment and hardship, fortunes made and, sometimes, lost, and the effects of the new society, this enlightening study investigates how early struggles to cope with almost overwhelming problems are now seen as the beginnings of the comparatively comfortable conditions we benefit from today.